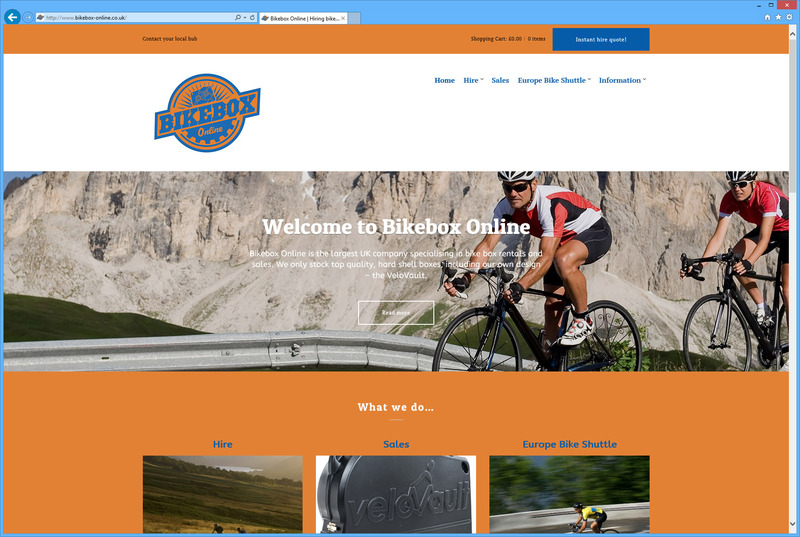 Chaos Created is pleased to announce the launch of Bikebox Online’s new web site. Chaos Created was commissioned to create a web site which was clean, and functional, and expressed the three key areas of Bikebox Online’s business – bike box hiring, sales of their own product – the VeloVault, and European bike transportation to events. Their existing web site was starting to show its age, and was very much a static site, so we were delighted to be asked to develop and design their new site, backed by our content management system, allowing the Bikebox team to manage the site themselves. We focussed on several key areas; A clean and functional design that scales between modern devices, highlighting their three areas of business and making each accessible to visitors, and developing a functional online store to cope with international orders as well as local pick-ups and deliveries. 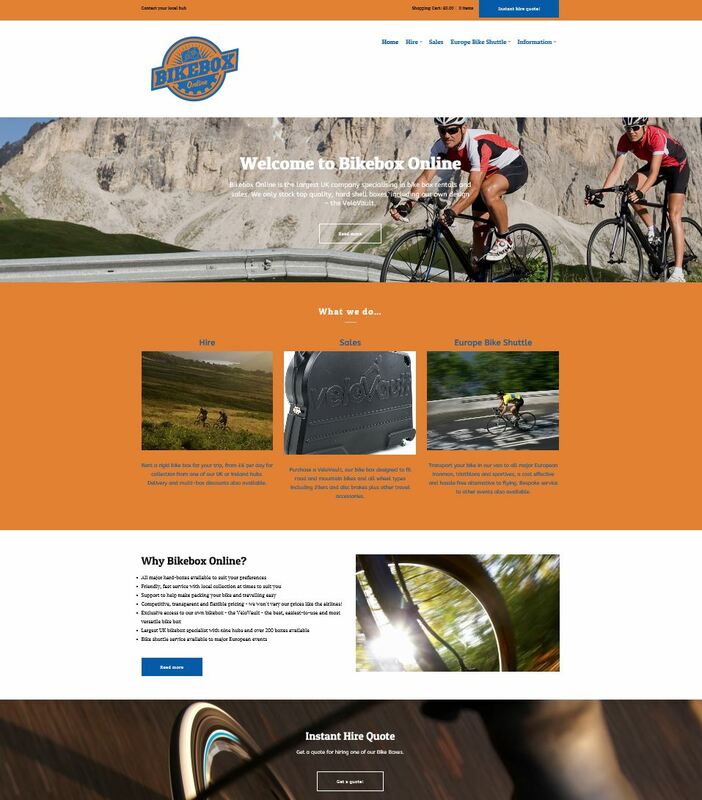 Bikebox Online’s new logo and new branding is clean, and striking, with a palette of orange and blue that we used consistently throughout their new site to create a design that is heavy on imagery, with biking photography, to appeal to their target audience. The Bikebox Online home page. Bold, functional, and dynamic. The homepage is clean, and scales well between phones, tablets, and PCs. The homepage is used to call out the different services Bikebox Online offers, as well as call attention to Quick Quotes, the VeloVault product, and the story behind Bikebox and the team, as well as highlighting the company’s unique selling points. The online store breaks out the different products Bikebox Online offers, with a focus on their own VeloVault product – a bike box designed in house. Utilising 5 years of bikebox rental experience and Sam Gardners’ experience of competing as an international triathlete for 10 years, they improved on existing designs in a number of ways. We also incorporated social media into the site, with Facebook and Twitter integration, alongside Strava statistics. The end result is a site which we hope allows Bikebox to better communicate with their visitors and fans, making the process of buying or renting a box far simpler and pleasurable. We believe the new site conveys the personality of Bikebox Online, and allows them to grow internationally, and we look forward to working with them and developing the site further in the future. 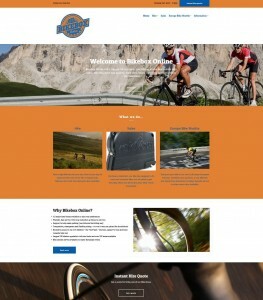 In the meantime, take a look at their new site at http://www.bikebox-online.co.uk. For more information about our web design services, please contact us or read more here.